Communicating is one of the most high pressure aspects of a crisis response. Your response needs to be communicated internally and/or externally, and everyone involved in a crisis response is in some way responsible for engaging with stakeholders. Whether it’s ensuring that your communications team have what they need and know what to say, preparing your CFO to speak to investors, or getting your CEO ready for a media interview, ensuring your people are prepared is the key to effective crisis communication. 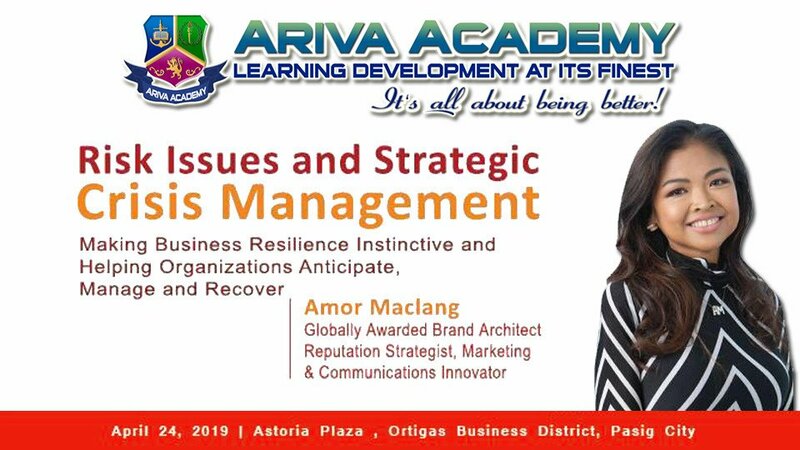 This one-day course is designed to help Managers and Executives understand the principles of effective Crisis Communication Management. Participants will be introduced to communication strategies and tools such as understanding the public mindset and the media, building a relationship with the media, writing press releases, preparing press kits, organizing a press conference, and dealing with media interviews in crisis situations.. In this learning session, participants are exposed to the inner workings of crisis resiliency. This learning session will prompt self-discovery regarding our own internal vulnerabilities when it comes to communicating in times of crisis. Frameworks for understanding, managing and effectively connecting to public and private stakeholders will be discussed.